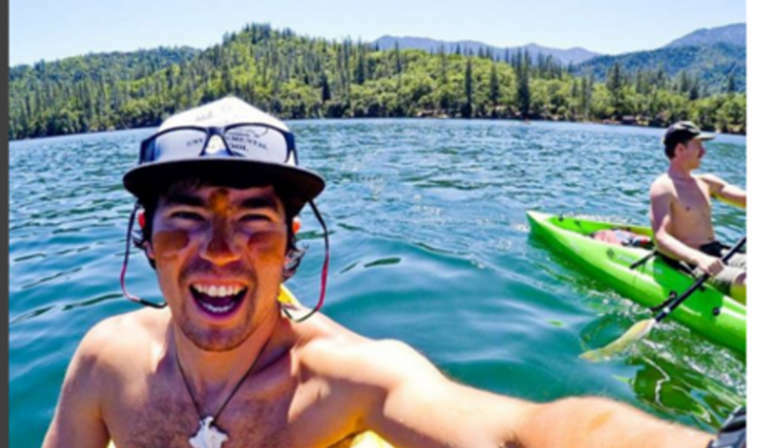 26-year old American adventurer and Christian preacher, John Allen Chau, visiting India's remote Andaman and Nicobar island, has been killed by a member of a hunter-gatherer tribe isolated from the outside world, Police said on Wednesday. The North Sentinal Island, which is out of bounds to visitors, is the home of the Sentinelese community, believed to be the earth's last pre-neolithic tribe. These remote hunter tribes don't know about money, communicating with the outside world. 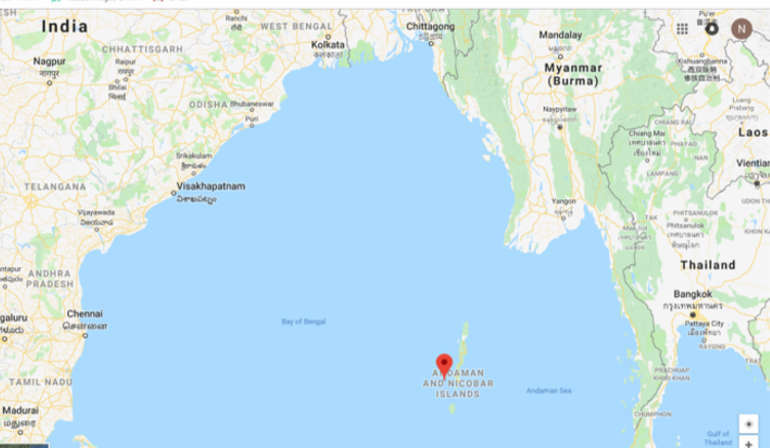 They even don�t like visitors to their place.The tribespeople killed two Indian fishermen in 2006 when their boat drifted ashore. 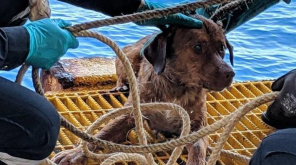 Chau was killed by bow and arrow after being illegally ferried to the island by a fisherman, Police said that his body is yet to be recovered. 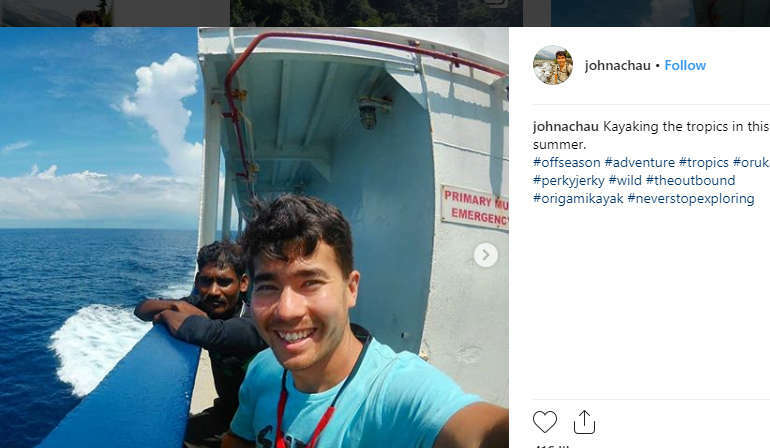 Seven local fishermen have been arrested for taking Chau to the restricted island Chau's social media posts identify him as an adventurer and explorer. 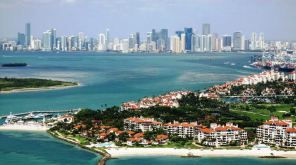 Responding to a travel blog query asking his top travel destination was Chau said "Going back to the Andaman and Nicobar Island in India." Some of the rumours about his purpose of visit to spread Christianity as the missionary. 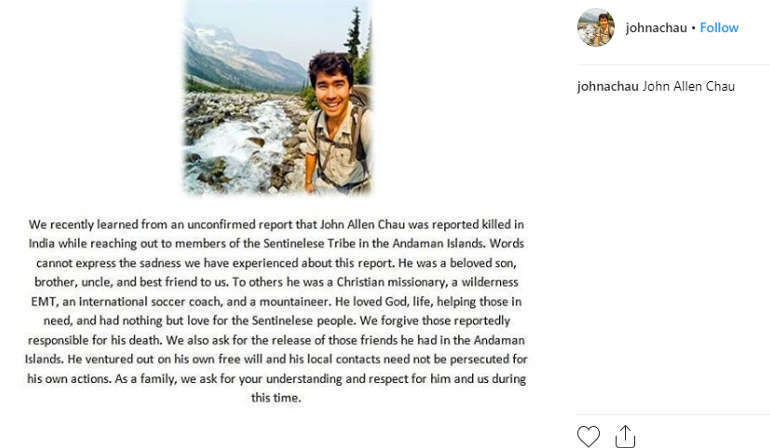 His family said he worked as a missionary and "had nothing but love for the Sentinelese people"
The police said in a statement Tuesday they had launched an investigation after being contacted by US consulate in the city of Chennai.